Home » Events News » Puerto Rico News » Fiscal Oversight Board » Puerto Rico’s Fiscal Year 2018 Budget Deadline is Approaching! Puerto Rico’s Fiscal Year 2018 Budget Deadline is Approaching! 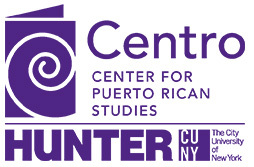 We are at a critical point for the future of Puerto Rico and Puerto Ricans living stateside. After a back and forth between the Fiscal Oversight Board and the government of Puerto Rico, the Oversight Board has approved the fiscal plan presented by the government. Now, in accordance to the PROMESA Act, the government needs to present the proposed budget for fiscal year 2018 to the Fiscal Oversight Board for its approval. Puerto Rico is also in the process of negotiating its debt, which is critical for the economic development of the territory. Additionally, on May 1, 2017 the stay the PROMESA Act established over debt service payments is set to expire. This means that creditors’ lawsuits for debt defaults, which were temporarily halted, will be allowed to resume. On March 13, 2017, the Fiscal Oversight Board approved the fiscal plan presented by Puerto Rico Governor Ricardo Rosselló,. A prior version of the fiscal plan was rejected by the Oversight Board for having unrealistic goals. The government changed the fiscal plan to incorporate board recommendations, and it was finally approved. The approved fiscal plan makes a 10-year financial projection which includes a cash flow of around $7.9 billion dollars that will be used for the payment of debt service. This cash flow will be available after the government implements several fiscal reforms that look to cut expenses and increase revenues. The fiscal reforms are divided into four parts: 1) revenue enhancement; 2) government rightsizing; 3) reducing health care spending; 4) pension reform. Apart from these reforms, the government presented other changes aimed at improving structural problems within Puerto Rico’s economy. Policies such as implementing a new permitting process, tax reform, regulatory reform, energy reform, and the promotion of public-private partnerships will or have been implemented in order to increase economic growth and meet the goals of the fiscal plan. One of the fundamental pieces of the fiscal plan is the amount of cash flow that will be available for the payment of the debt *see debt restructuring. Right now, debt service budget allocations hover around twenty cents on the dollar. Budget allocations would be unable to cover a full payment to any one bond holder. According to PROMESA, after the fiscal plan is approved by the board, the government of Puerto Rico needs to present the budget to members of the Oversight Board. In Puerto Rico, the fiscal year starts on July 1st, which means that in the upcoming months there will be a discussion about the proposed budget for fiscal year 2018. But this year is different. The governor now has to send the budget for the upcoming fiscal year to the Oversight Board before sending it to the legislature. If the Oversight Board approves the budget, then it will go to the legislature. If there is a change in the budget in the legislature, the Oversight Board needs to look at the revised version. Subsequently, the process continues until the Oversight Board certifies the budget and is approved. 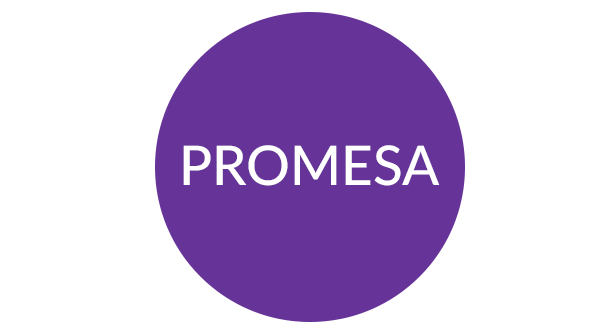 This process is part of Title II of the PROMESA act, and the details can be found in the letter (see PROMESA act). In a letter sent to the Governor and leaders of the local legislature, the Oversight Board set the deadline for the Governor to submit a proposed budget before or on April 30, 2017. At the same time, the government will have to present “a detailed implementation plan for the measures contained in the Commonwealth Fiscal Plan,” as a revised liquidity plan, which must include measures that will generate $200 million cash reserve by June 30, 2017. The following months are critical for Puerto Rico. On one hand we have the debt negotiations and the deadline of May 1st, when the stay on the debt ends. This gives creditors an opportunity to take the government to court demanding a payment (see debt restructuring). On the other hand we have the presentation of the budget. These two things will have a direct impact on the lives of Puerto Ricans in the island. In the months ahead the Oversight Board and the government will determine which austerity measures will need to be implemented. In addition, we will know how much the debt will be cut and how the agreements will affect Puerto Ricans.